The estimated 23,000 electric-vehicle owners in San Diego are now eligible for an annual credit of at least $50 on their electric bills. 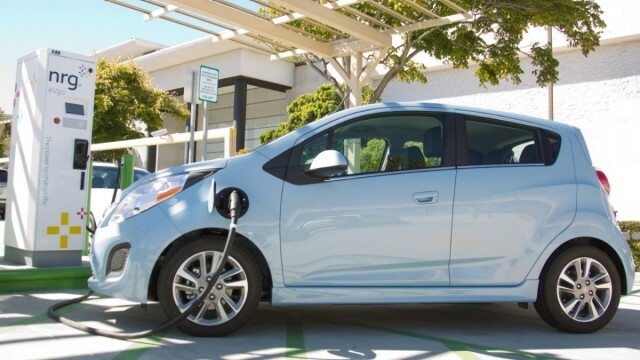 San Diego Gas & Electric announced Tuesday it is offering the credit on residential electric bills to those who drive an all-electric vehicle or a plug-in hybrid. “We are excited to launch this annual program to help fight climate change and increase adoption of clean-fuel vehicles,” said Michael Schneider, SDG&E’s chief environmental Officer. The new Electric Vehicle Climate Credit is part of a statewide greenhouse gas reduction program administered by the California Air Resources Board. EV drivers can sign up at www.sdge.com/evcc. They will need their SDG&E account number and DMV registration card to sign up. The credit will be applied this summer, and will depend on how many people sign up, but should be at least $50, according to SDG&E.